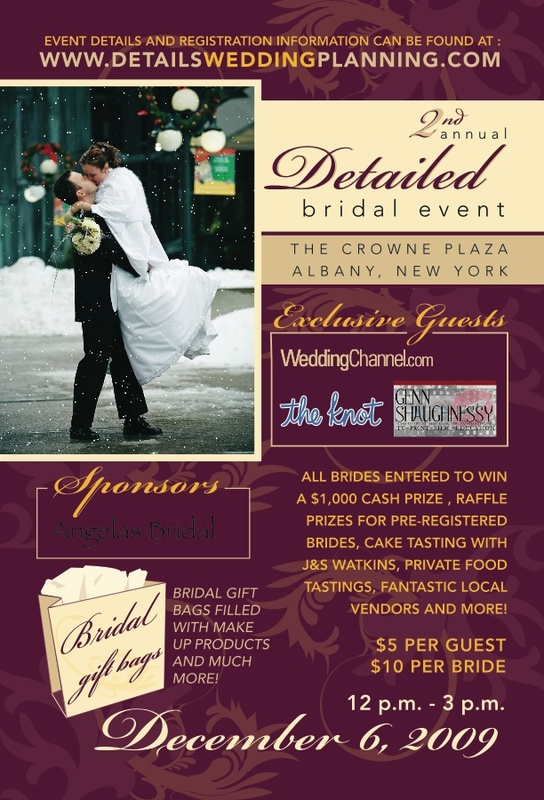 Thank you to everyone who came out to see us at the Details Bridal Event this past Sunday! We met some wonderful people and I'm looking forward to working with you in the days to come. It was a pleasure to see some of the latest groups in the area and all of the wonderful things the Capital District has to offer brides these days. We are excited to do more of these kinds of events in the area, so stay tuned for details for the next one. We look forward to seeing you there! In the meantime, feel free to check www.silverpenproductions.com or email [email protected] for more information on how we might be able to help you for your upcoming wedding or special event. We partner with many talented people that can help take care of all your event needs! If you are looking specifically for dance info, please click on the dancing links, or you can also check www.saratogasavoy.com. We would also like to thank April and all of the event coordinators of the day. It was a very impressive event and we were honored to be a part of it!